Unsolved Murders of Quebec / Laval Women – WHO KILLED THERESA? The director Stéphan Parent was in Laval, on 3rd Avenue in Chomedey, to shoot at the site of the murder of Johanne Dorion, which occurred July 30 1977. The filmmaker and his team were on site to establish a reconstruction of the crime scene and the last moments of the young woman. The scenes are part of a documentary called Seven Women, aimed at giving a boost to police investigations involving seven women murdered in the 1970s. Johanne Dorion, 17, was last seen by a bus driver along the 9th Avenue in Chomedey, 30 July 1977. Eleven days later, they found her body five blocks away, in an area along the wooded banks of the Mille-Îles River. No arrest connected to these crimes were ever made. The perpetrator or perpetrators have enjoyed complete impunity, leaving families in turmoil and questioning. The victims were all women aged 16-25 years. They were killed in a similar way, the naked bodies found in the vicinity of motorways or in wooded after they had been raped and strangled. The killings took place in Montreal, Laval, Sherbrooke and elsewhere in Quebec. The film will be controversial as it calls into question several elements of the police investigations. For instance, case evidence was destroyed by police in the cases of these 7 women. An unacceptable situation that is strongly denounced in the film.Marc Bellemare and journalist Claude Poirier are also part of the project, as in Parent’s previous documentary, November 84. 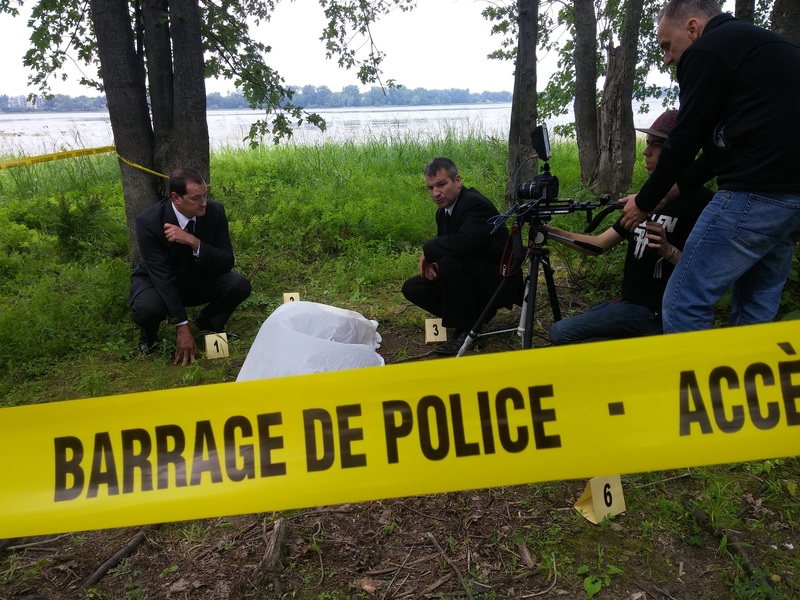 The day of the shoot, on the banks of the Mille-Îles River, in August, a person from the neighborhood came to meet the team to give them information about the victim, she lived in the neighborhood the year of the murder. The film will include scene reenactments with actors. Also the testimonies of families of the victims, and some investigators from that epoch.